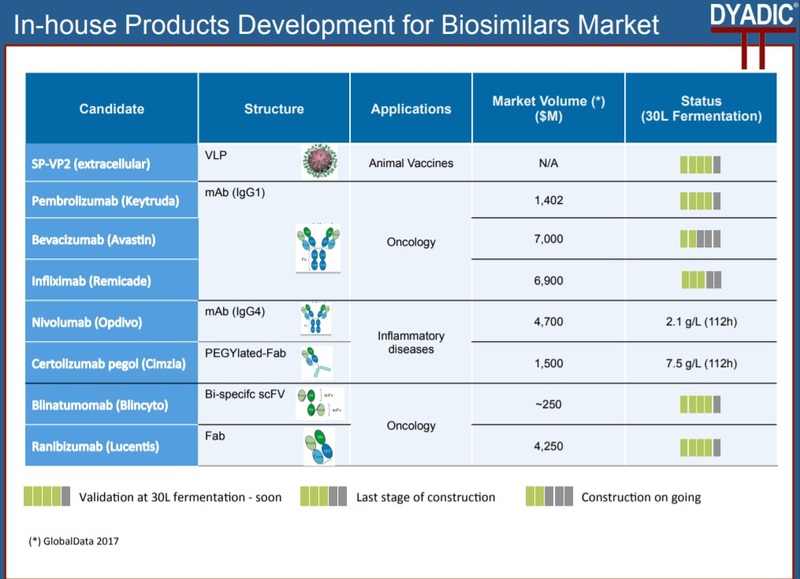 Dyadic International has begun developing a pipeline of biosimilars using a fungal expression system it says achieves much higher productivity than CHO cell lines. Dyadic began looking to its enzyme production fungal expression technology for biopharmaceutical purposes in 2015 and has forged several sub-license and partnerships in the biologics space. But now the Florida-based firm has revealed it is set to develop its own biosimilar and biobetter pipeline using the expression system. 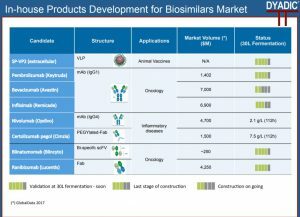 “We began in earnest an R&D effort on our own and in conjunction with top tier pharmaceutical companies to further develop our industrially proven C1 gene expression platform to leverage it for use in helping to speed up the development and lower the cost of biologics,” Dyadic CEO Mark Emalfarb told BioProcess Insider. “The first wave of biosimilars/biobetters that Dyadic intends to develop are the non-glycosylated Fab proteins ranibizumab (Lucentis) and certolizumab (Cimzia),” he said. Combined, the portfolio has a market potential of over $25 billion (€22 billion). Dyadic developed the C1 gene expression platform – based on the fungus Myceliophthora thermophila – and then sold the platform and its other enzyme and technology assets to DuPont’s Industrial Biosciences business in 2015 for US$75 million (€65 million). Having retained the rights to C1 for use in human pharmaceutical applications, Dyadic is looking to use the platform as an alternative to the prevalent Chinese hamster ovary (CHO) expression system. The first human therapeutic product produced using CHO cells was Genentech’s plasminogen activator Activase (alteplase), in 1987. The cell line has since become an expression system of choice for biologics makers – Rituxan becoming the first commercialized therapeutic monoclonal antibody (Mab) made using CHO cells in 1997, while Humira and Avastin (bevacizumab) are also based on CHO expression platforms. “We believed that the pharmaceutical industry’s reliance on CHO for developing and manufacturing biologics is an unsustainable model in the long run, and in fact a key factor in preventing access to biologic drugs globally to patients,” said Emalfarb. C1 has been used for two decades in the industrial enzyme space, achieving productivity of as much as 80 grams per liter for a single enzyme with high purity. But until now “we were lacking data that would demonstrate that we could produce monoclonal antibodies and other proteins far more efficiently than CHO using C1,” he added. Over the past 18 months, Dyadic has generated data demonstrating MAb expression level of nine grams per liter in 90 hours – or 2.4 grams per liter per day – using fed batch technology that is based on low cost defined media and glucose feeding. “This expression level appears to already far exceed that of CHO cells in grams per liter per day, uses very low cost defined media and eliminates two viral inactivation steps,” while having similar binding kinetic to Mabs made using CHO cells.